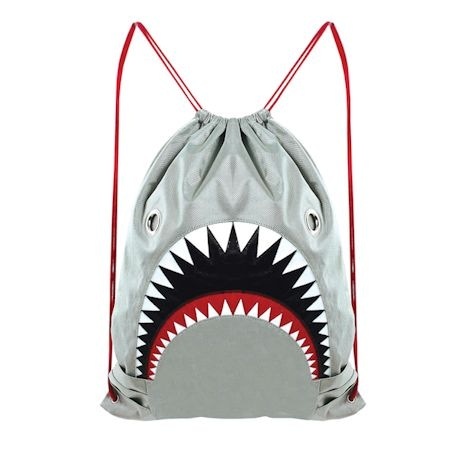 It's the coolest example ever of form-meets function: a drawstring backpack that is exactly the shape of a great white shark surfacing for a little lunch. Made of sturdy water-resistant nylon. Wipe clean. Imported. 21" backpack straps; 16"x 19½" bag.